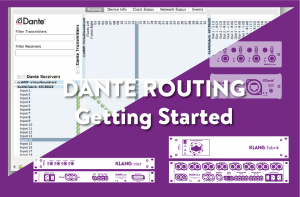 Find out how to connect different digital audio interfaces, audio networks and mixing consoles with your KLANG products. Besides the audio connectivity, remote controlling KLANG:fabrik and KLANG:vier with the knobs and faders of your favourite mixing console or DAW will speed-up your workflow quite remarkably and make it even more comfortable. Read more on the OSC blog here. 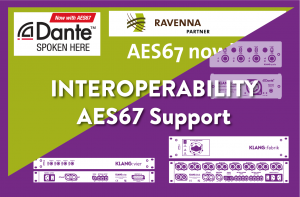 Various multichannel digital audio standards and interfaces are available. 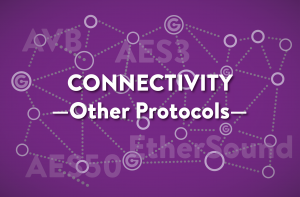 We distinguish between peer to peer digital audio interfaces (e.g. 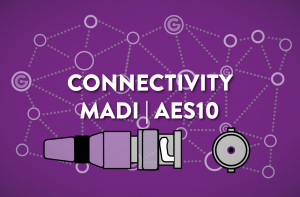 ADAT, MADI, …) that connect only one device with another, and network audio protocols that run over network cables and allow arbitrary distribution between the devices in this audio network (e.g. Dante, AVB, Ravenna / AES67 …). Depending on what type of mixing console you use, it might offer one or more of these interfaces already. Most mixing console manufacturers offer expansion cards for different digital audio formats as well. 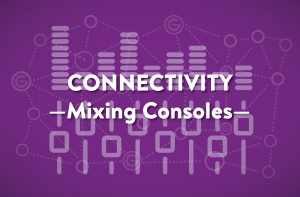 Of course, even digital mixing consoles that do not offer these interfaces as well as analog mixing boards can be incorporated by connecting Analog Outputs to an Analog-to-Digital converter.